It’s February 14th, and it’s a weekday—what’s a food-loving romantic to do? 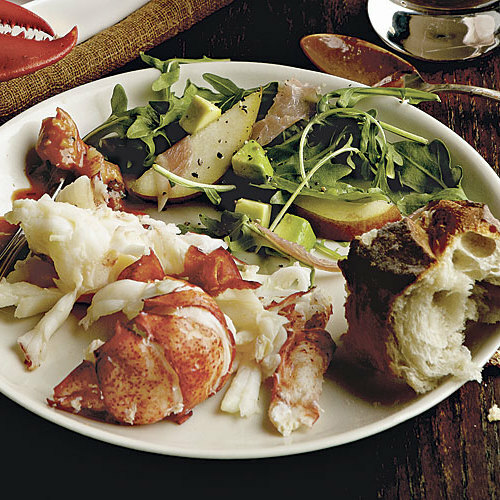 How about this indulgent, ready-in-30-minutes dinner for two? All recipes serve two. If you like, add a loaf of crusty bread to round out the meal. Just because Valentine’s Day falls on a weeknight doesn’t mean dinner has to get the short shrift. This menu pulls out all the stops, but leaves more time for romance. 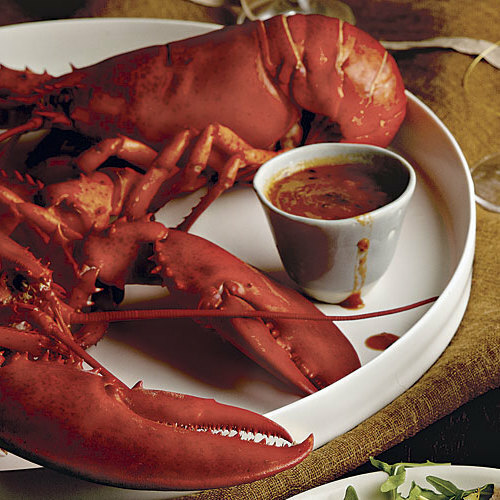 It pairs vodka-steamed lobster with a buttery tomato dipping sauce. A green salad with luxurious touches of silky prosciutto and avocado provides the perfect contrast. And the dinner concludes with a rich but oh-so-simple chocolate pudding. Dinner and a Movie: Watch a video of this menu come together. As an alternative to this menu, use the Valentine’s Day Menu Maker to customize your own romantic dinner for two. 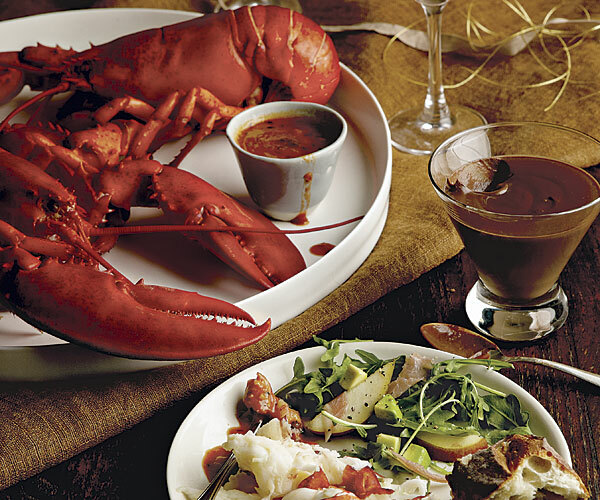 Bring the lobster cooking liquid to a boil. Heat the half-and-half and whisk the eggs for the pots de creme. 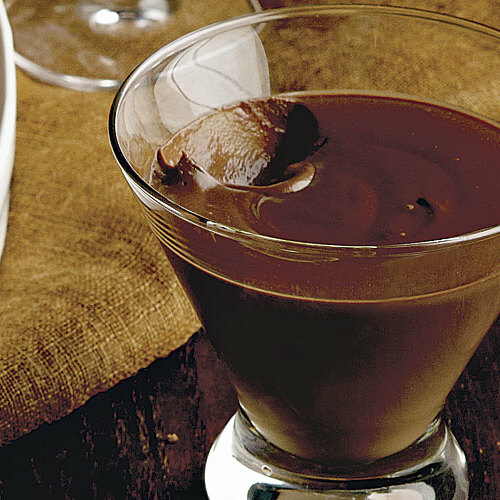 Make the pots de creme, divide into serving glasses, and chill. Reduce the lobster steaming liquid. Wash the greens and make the dressing for the salad. Cut up the pears, avocado, and prosciutto for the salad. Finish the dipping sauce for the lobster.